MPAA Rating: Rated PG-13 for some thematic elements, violence/peril and brief drug content. - The film had great concepts and ideas to work with. - Nicky Whelan and Cassi Thomson gave solid performances. 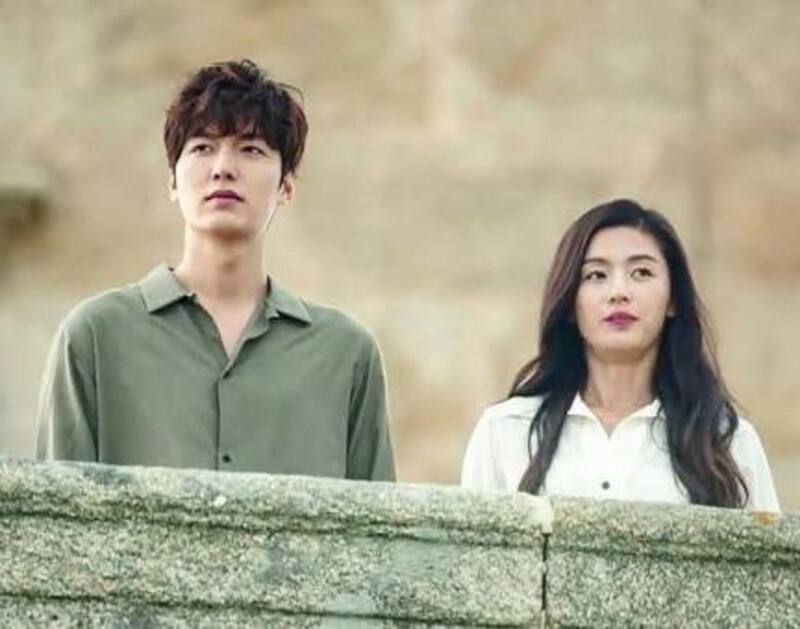 - The love subplot feels contrived, and serves no purpose to the story. - Nicholas Cage phoned it in on this one, so don't expect a great acting performance from him. Before I get started on this review, I would like to say something to all my readers. If you're deeply religious, then chances are you'll probably like this movie. However, if you're someone that doesn't believe in organized religion like Christianity, then "Left Behind" isn't going to be your cup of tea. I would also like to point out that this review is NOT a reflection of my own personal beliefs either, as I'm merely judging the movie on it's own merits. For those of you that are familiar with the Bible, it talks about the end of days. There's a passage that talks about the rapture, which depicts how god will transport all his true believers to heaven in order to save them from the Anti-Christ. Like all pro-religious movies, you have the devout Christian characters that are often questioned by the bitter non believers that claim god is nothing more than a silly superstition. The atheists are portrayed as being hostile, and emotionally distant. While the true believers are given "Mary Sue" personalities that border along the lines of being unrealistic. Through a series of events, we see the non believers start to realize the error of their ways, and see the proverbial light so to speak. "Left Behind" can be a bit preachy at times about religion, but it's also a story about redemption as well. The story follows a commercial airline pilot named Rayford Steele (Nicholas Cage), who has been having an affair on his on wife for quite some time. Although he seems a bit skeptical on god's overall existence, he happens to be married to a woman that's deeply religious. Meanwhile, his daughter comes home to visit him, but she's sad by the fact that her visit was in vein. Therefore, she makes the most of it by spending time with her kid brother. At first, everything seems like a normal day. However, the rapture starts to happen. People randomly disappear. Chaos and panic pursues. Riots happen throughout the street. Cars crash. People die, and some of the passengers disappear on airplanes; including some of the pilots. To make matters worse, this happens immediately after Rayford's plane takes off. And since a lot of people have spontaneously disappeared, it seems communications between him and the outside world is severely limited. Plus, it doesn't help that quite a few of the passengers start to freak out over the disappearances as well. As for his lovable daughter named Chloe (Cassi Thomson), she's stuck on the ground. As she wanders the streets, she can't tell what to make of all this. Riots are everywhere, and her brother and mother are no longer on this Earth. Where could they have gone? Needless to say, she tries desperately to make sense of it all, and Rayford does as well. Through a series of events, they come to the conclusion that god was real all along, and that the rapture has begun. It's at this moment that Rayford starts to see the error of his ways, and starts to to regret his actions. Hallajuhah! Praise the lord! He has seen the light! He must feel like doing back flips like we saw in that Church scene in "Blues Brothers." 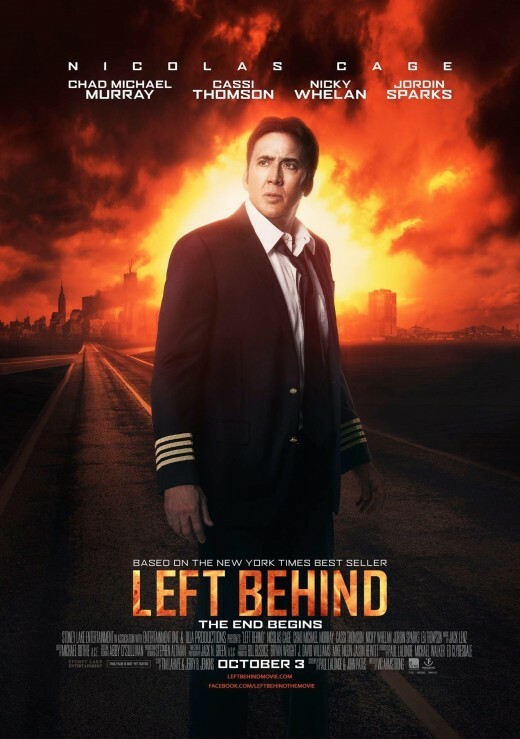 Although I disagree with most film critics that "Left Behind" is the worst movie of 2014, I will say that the film suffers from being overly generic and formulaic to the point of being forgettable. You know exactly how the story is going to turn out from over a mile away. The characters are nothing more than generic stereotypes, and the film leaves literally no cliche unturned. It's almost like "Left Behind" was hellbent on sticking to the formula of being this overly preachy religious film that tries to be deep, but it falls flat on it's face with it's weak narrative and bland characters. To make matters worse, the acting is probably some of the worst I've ever seen. And take in mind, this is coming from a guy that loves Nicholas Cage as an actor. Granted, he's made a lot of stinkers lately, but he's shown in the past that he can be great actor, when you give him something to work with. Sadly, he's not given anything here, and it shows through his performance. Throughout the movie, the man acts so emotionless to where it almost feels like he's phoning it in, so he can get a paycheck. Don't get me wrong, Cassi Thomson and Nicky Whelan delivered some emotional performances that the film desperately needed, but it wasn't enough to overcome the horrendously written script. And, don't even get me started on Chad Michael Murray, who's basically written as a "Gary Stu" in this feature. The story has an interesting premise to work with, and it's not like Hollywood hasn't done a great job with pro religious themes before. However, this movie is not only overly preachy with it's approach, but it doesn't take the time to properly develop it's characters. The transition of Rayford's character going from a lying douchebag to a man that's filled with sorrow and regret feels a bit rushed, and underdeveloped because we barely even get to know what kind of person his wife happens to be. Sure, the film says she's deeply religious, and how she's this great devoted housewife. But, that's all we really know about her. The love subplot between Chloe and Buck Williams (Chad Michael Murray) serves relatively little to the overall story arc. If anything, it feels forced half the time because they rarely ever spend any time together on screen. In "Left Behind", Chloe happens to meet Buck at the airport while waiting for her father, and she ends up leaving him her number. After that, they rarely ever talk to each other, so the romance between them feels contrived half the time that the film probably would've been better served without it. Don't get me wrong, "Left Behind" had a lot of great concepts and ideas that could have worked had there been a better creative process behind it. Maybe a better script, better direction and possibly better acting would've helped drive home this movie's message. Instead, we're treated to a mediocre pro religious film that tries to be this deep story about life, but it fails drastically because it was poorly thought out. Unless you're deeply religious, then I wouldn't bother wasting your time on this feature. Although if anyone would like to see how a great pro religion film should be, then I would highly recommend such classics like the "Oh God" series with George Burns. Granted, one could argue that the "Oh God" series is overly preachy as well, but it's helluva a lot better than this piece of crap. Oh my error. Sorry about that. Thanks for letting me know, as I'll definitely edit that immediately. Thanks for stopping by. Yeah your not missing much trust me. Anyways thanks for stopping by again. Good review, but I'd like to comment that "There's a passage that talks about the rapture, which depicts how god will transport all his true believers to heaven in order to save them from the second coming of Christ." is partly in error. God does it in order to save them from the coming of the antiChrist which is followed later by the second coming of Christ.